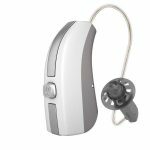 Hearing aids come in a variety of styles and with a wide range of features to address an individual’s specific needs. Our hearing experts make recommendations that are a perfect, custom fit for every patient. If you’re looking for hearing aids in San Antonio, you’ve come to the right place. Just as importantly, we provide ongoing, professional aftercare that is critical for long-term hearing aid wearers. This style is very popular due to the ability to fit a wide a range of hearing losses with a flexible and comfortable design. This style is very discrete and a custom earmold may be used for severe hearing losses. Hearing aids are custom fit to the patient’s ears and match skin color. The size of the instruments depends on the technology needed to meet the needs of the patient.  Hearing aid style for severe to profound losses and custom earmolds are generally necessary. 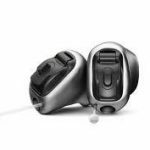 These hearing aids are very sturdy and powerful when the canal is occluded with a custom earmold. Not Sure which hearing aid you need? Give us a call on +1-210-268-8229 and a member of our friendly team will be happy to help you choose. Or click the button below to send us a message! Eco-friendly technology charges your hearing aids overnight for a full day of trouble-free operation. 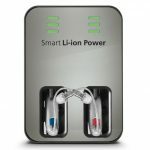 The Smart Power Charger even contains a heat drying function, removing harmful moisture and leaving hearing aids dry and refreshed each morning. 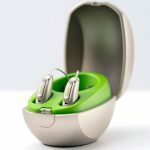 A true plug-n-play experience, there’s no need to remove the batteries from the hearing aids before charging. Available with Premium Level Products. 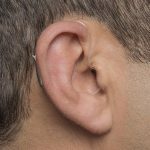 We offer a CROS/BiCROS solution for those with an unaidable hearing loss in one ear. 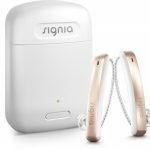 The hearing aids are barely visible and connect wirelessly via the CROS Pure Transmitter. No remote required. Control your hearing aids using your iPhone or Android device. Adjust your hearing aid programs, volume and treble, check your battery status and turn the hearing aids to standby. Premium level products allow for adjustments of microphone-pattern. Amplified corded/cordless telephones, captioned telephones, amplified phone ringers, amplified answering machines, companion microphones, vibrating alarms/strobe alarms, sound conditioners, TV listening devices, and more. We also carry all hearing aid battery sizes.